Italy is the famed home of the Renaissance and home to some of the Western world’s most cherished artists. Chief among them, Michaelangelo. He was a painter, sculptor, engineer and scientist and he is alive and well in Italy today, if you’re willing to look for him. If you’re planning a trip to Italy, there are some great stops that will help you get to know this Italian hero. Florence is Michaelangelo’s hometown and Italy’s cultural centre. It’s here that you can trace his fantastic career and see many of his greatest works. Start with the Gallery of the Accademia where the largest existing collection of Michaelangelo’s works can be found. 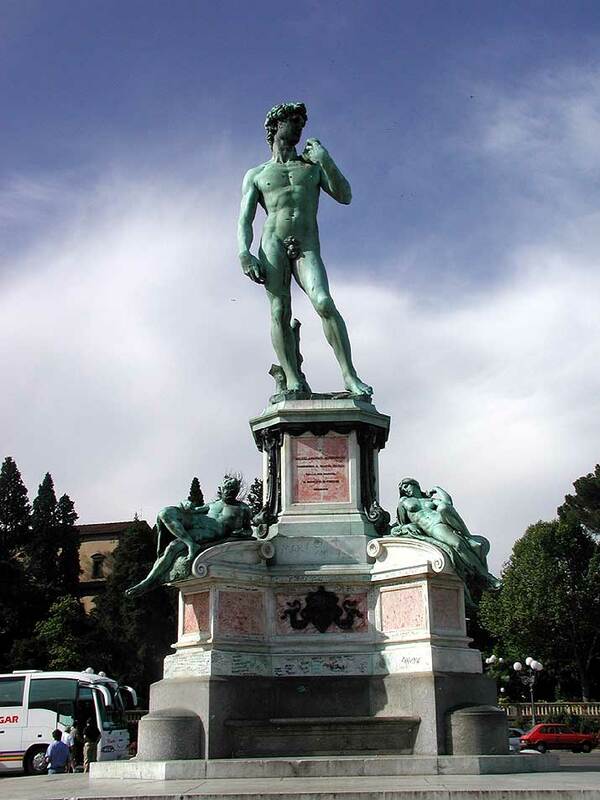 The statue of David resides here, as well as much of his most famous sculpture work. The building has been renovated over the centuries to create an optimal environment for viewing these great works. Naturally, Michaelangelo’s works are great attractions and can be found at most of the great tourist spots like the Uffizi Gallery – one of the most famous art museums in the world. The gallery was built in the 1500s for the Medici family, who were Michaelangelo’s patrons and benefactors throughout most of his career. The gallery houses great works of art, including a collection of Michangelo’s paintings. And you will no doubt already have plans to visit Vatican City’s Sistine chapel to view the famous ceiling that Michaelangelo labored under for years producing frescos. When you consider the height of the chapel you will understand the difficulty Michaelangelo faced in reaching his painting surface. The story goes that an architect was engaged to build scaffolding, which was suspended from the ceiling by ropes that required holes to be made in the ceiling. Michaelangelo laughed and asked how he would paint the holes. When the architect could not answer, the pope ordered Michaelangelo to design and build his own scaffolding, which he did. His design required the painters to lie on their backs while painting. For those retracing the path of Michaelangelo’s life in Florence, Casa Buonarroti is a museum that was once home to Michaelangelo’s family members (his brothers and their children) and contains a bas relief of the Battle of the Centaurs, one of his earliest works. You will also find a collection of his drawings, letters and a huge library collected by the Buonarroti family. Finally, stop by the Medici Complex of San Lorenzo; a complex of chapels, mausoleums and sculpture attached to the church of San Lorenzo (the “official” church of the Medici family). Here you can trace the history of the great family of art patrons and find many of Michaelangelo’s commissions. He produced the architectural design for a sprawling family mausoleum as well as the statues and sarcophagi for chapel walls. You can also see drawings by Michaelangelo and work by his students Montorsoli and Baccio da Montelupo. Am heading to Florence in February and can’t wait to dive into Michelangelo’s legacy. How long does it take to get round the Uffizi Gallery, do you reckon? Tough call! I’ve heard of people getting in and out in 30 minutes but I couldn’t imagine spending less than a few hours there. It all depends on your interest and I guess how pressed you are for time!